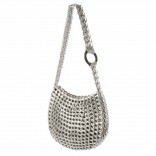 Francisca is a handmade recycled pop top evening bag by Escama Studio. 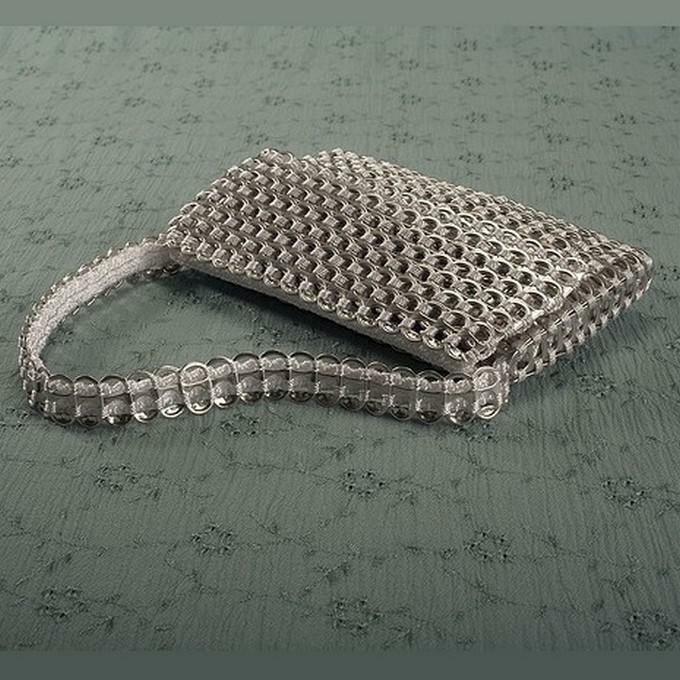 Big enough to hold the necessary: money, credit cards, keys, smartphone, and make up, this elegant evening bag will become your favorite companion. 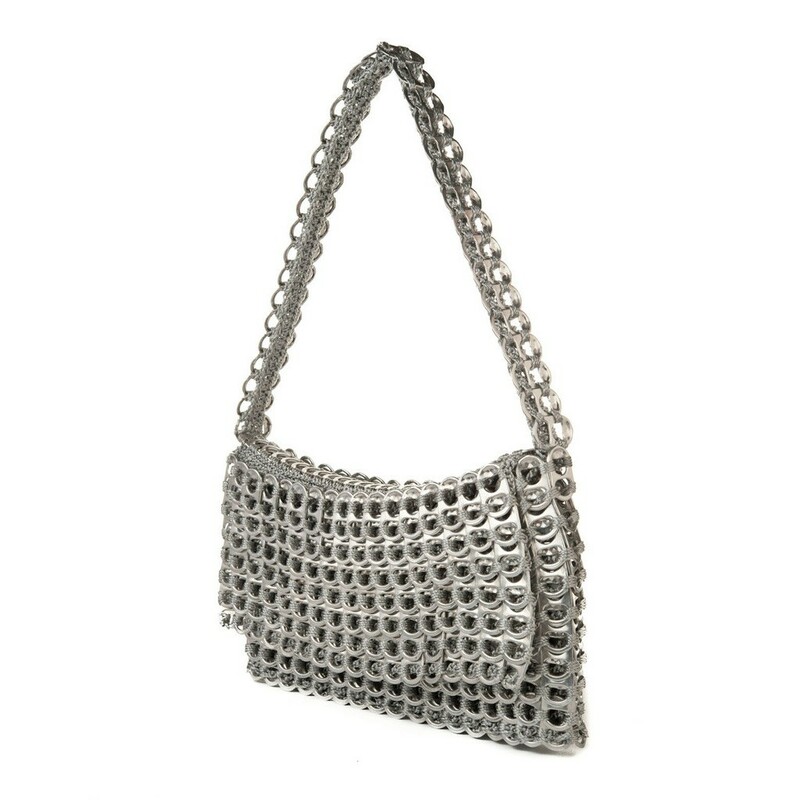 Francisca is a shoulder clutch with a fold over flap and a truly unique eye-catching accessory. 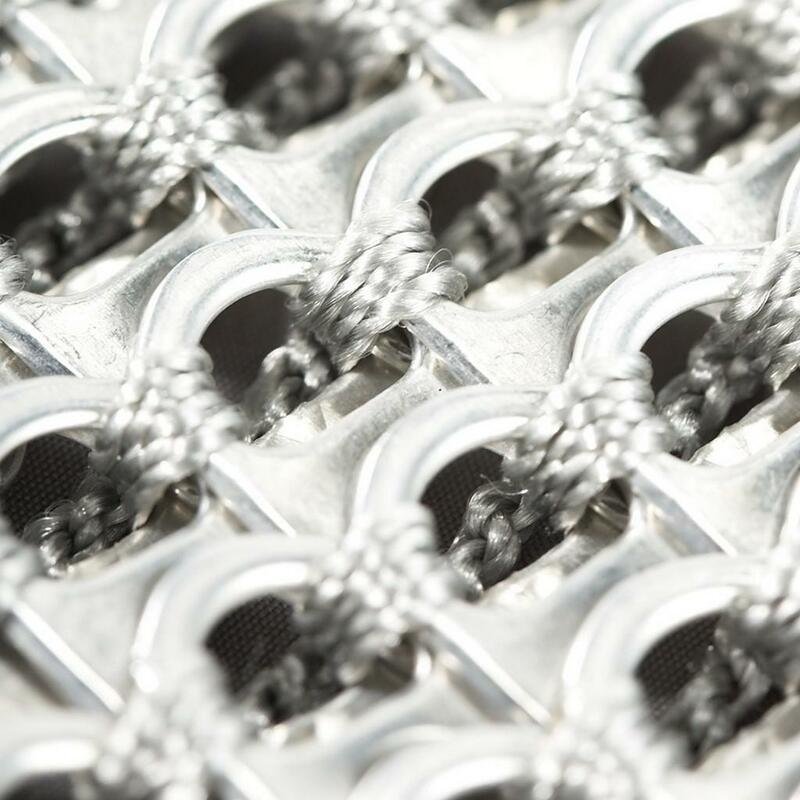 The Francisca handmade recycled pop top cutout evening bag is hand crocheted with over 500 post-consumer recycled pop tops and fully lined with matching silver satin interior. Clutch shoulder bag with fold over flap. 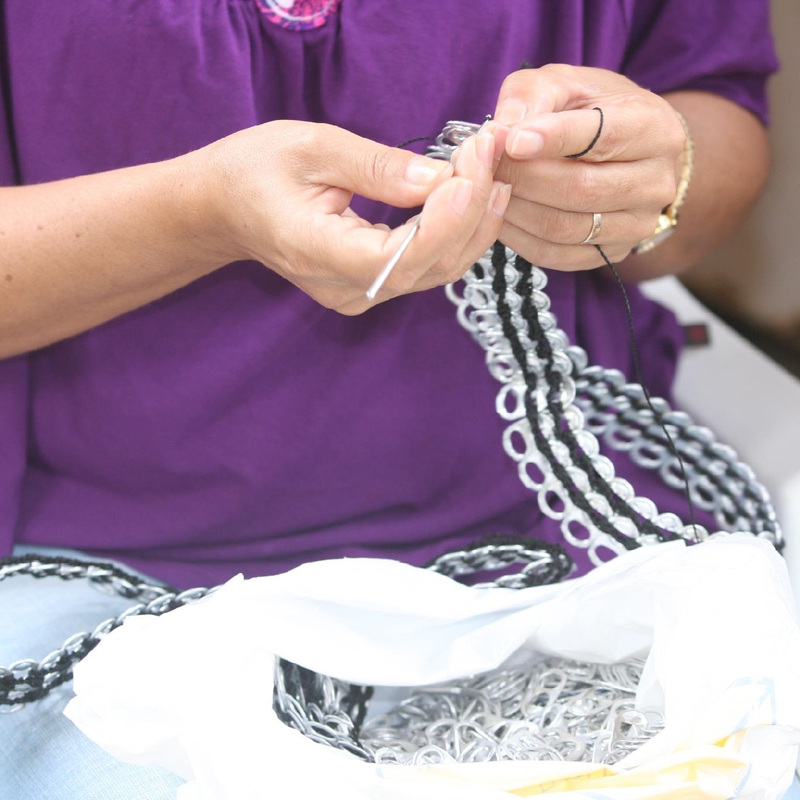 Hand crocheted with over 500 post-consumer recycled pop tops. Zip closure with exterior flap.